MAJOR DREAM: FROM IMMIGRANT TO HOUSEMAID TO HARVARD PHD. 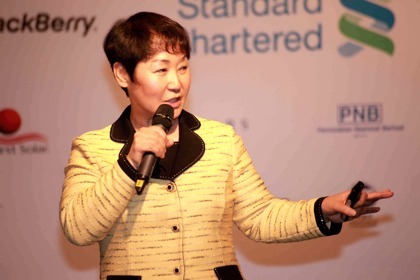 For many, Dr Jin Kyu (Suh) Robertson is proof that people have the power to have more fulfilled and satisfying life once they choose to become the sailor of their own ship. We are therefore immensely grateful to be able to have the opportunity to do an interview with Dr. Jin Robertson. Dr. Thanks so much for the opportunity. As a start please introduce yourself to our readers. What events have brought you up to this point where you have now written a novel and flourished into an author? I am a lucky woman who is living the life of my dream. I immigrated to America alone at the age of 22 as a housemaid with little English and $100 to my name. At 28, a mother of eight months old baby girl, I joined the U.S. Army as a private to escape from the domestic violence. Twenty years later, I retired as a major, received MA (at 43) and Ph.D. (at 57) both from Harvard. 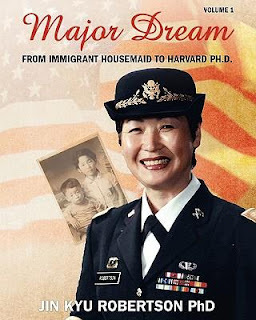 In 1999, when Korea was going through an economic disaster, Major Korean TVs made documentaries of my story of American Dream to help those Koreans who were suffering from the national emergency. The documentaries inspired, motivated, and empowered millions of Koreans, literally having saved hundreds and thousands who were at the verge of suicide. Those successes in media led me to become Korea’s most popular inspirational/motivational speaker (over 1,300 keynotes) and a bestselling author (over a half million copies sold), continuously inspiring and empowering millions in Korea, Japan, America, and other parts of the world. Volume 1 of Major Dream is available. Please tell our readers what they can expect within the novel. This volume begins with the scenes of my graduation from Harvard with a PhD, my childhood dream. The remainder traces back to my roots and the survival from the life full of obstacles in Korea, ending with the escape from the hopeless situation in Korea to begin a new life of an immigrant in America, the land of opportunities. I was 22 years old, alone, with little English, $100 to my name, and one way ticket. Where can readers stay in contact with you? They can reach me through my website, www.drjinrobertson.com, and/or e-mails to jo@drjinrobertson.com (my consultant, Joanne Palmer in the U.S.) and/or jin@drjinrobertson.com. If they can read Korean, they can also contact me through my Korean web, www.cafe.daum.net/ilovecon and suhinchon@paran.com (my manager, Inchon Kim in Korea). What can readers expect within the following novels? Before I publish the second and third volume of my memoir of long version, we will publish a short version of my overall life story-- Limitless Sky: A Memoir of Shattered Glass Ceilings, to show readers how to live a life of success and happiness. I then will publish a book on how I, as a single mother, raised my daughter to be selected as a Presidential Scholar (an honour given to 141 of 2.5 million high school graduating seniors each year), graduate from Harvard (BA) and Princeton (MA), and become a U.S. Army officer. This book will show readers to successfully raise their own children, practically with opposite methods and strategies from Amy Chua’s Tiger Mom. Yes, raising a super star child doesn’t have to be so hellish and painful as my daughter and I are the proof. You were born and raised in Korea. What made you decided to move on from what you had known your whole life? Korean society when I was growing up was under strong influence of Confucianism which discriminated against women, especially those from poor and powerless family. I disagreed with such system and so longed to become a justice fighter to change it. I wanted to become somebody very successful to prove them wrong and help those defenceless sufferers. Yet, I ended up one of those defenceless sufferers myself, working as a factory girl in a wig factory, a waitress, and a housemaid. 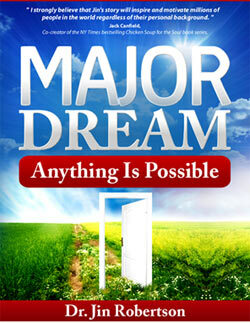 In such hopeless and depressing situation, my dream began to leave me as well. And that’s when I encountered a newspaper ad looking for a housemaid to work for an American family in the U.S.A., the country we, the poor Koreans, believed it to be a paradise. My move to this land of opportunity was a major turning point of my dream life, and I am utterly grateful to myself for taking up that challenges filled with fear and difficulties. Where do you currently reside the most? Do you feel as if your life has gone full circle and that you have accomplished everything you had set out to do? I currently reside in Korea, making a major difference in the Korean society through my inspiring books and speeches. At the same time, I am preparing to publish the sequels of my autobiographies in English to quantum leap in impacting the world along with my inspiring/motivating speeches. Yes, I do feel as if my life has gone full circle and that I have accomplished everything I had set out to do and more. 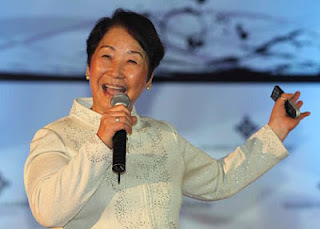 From general research I have noticed that you are mentioned as Korea’s most popular motivational/ inspirational speaker. Do you feel that you have lived up to such a title or that you have merely lived your life and that people aspire generally to stories that carry success? I feel that I have lived up to such a title. I also feel that I simply lived my life and that people aspire to such stories that carry success, especially with fantastic dramas and happy ending. Where do you see yourself going from here? I mean from what I have read you have literally lived a couple of lives? I plan to live as many lives as possible by continue to dreaming to make this world a better place than I first found. I will continue to enjoy my lives as well while inspiring and empowering as many people in the world as possible through bestselling books and top keynote speeches. How has your struggles impacted on the way you raised your own child? The TV producer of KBS (Korean Broadcasting System, top media in Korea), who made the first documentary of my life story, asked my daughter what her childhood dream was. Without any hesitation, my daughter, who was a junior of Harvard University then, replied that she wanted to become her mother’s clone! I inspired her to dream, motivated her to catch the stars, and empowered her to live and enjoy her successful life while leading her by example. Do you have any inspirational words for fellow writers and readers out there? We have no choice at our birth. We have no choice from death; we all will die one day. We have no choice but to live only one life. Yet, we do have a choice how to live that one life given to us. Dear fellow writers and readers. Take what life has given to you and make it the best one as you want it to be. Be the amazing writer you want to be and be the star of your dreams. Have the time of your life! It’s the only and final one given to our mercy—the wonderful opportunity of our lifetime. Dr, Thanks so much for this opportunity.